I came across this super cool interview with Rick Rubin earlier this morning and had to share it with you. Its a brief but thorough look inside one of the most influential artists and business men in music history. There's always been a certain amount of mystery over Rick as he doesn't attend many public events or take part in as much press involvement like other well sought after producers are known to do. However, Rick Rubin is continually lending his recording guidance to the largest musicians in the world. I was lucky enough to hang out with Rick Rubin a couple times while working on a song project I did for his record label, American Recordings. He sat and told me about the early development of Def Jam while describing how he recorded all of the earlier LL Cool J tracks in his dorm room at NYU. Then he gave me a ride in his Bentley so that he could play me some of the new Red Hot Chili Peppers music he had just mixed. I'll never forget seeing him behind the wheel banging his head like we were listening to Slayer as we drove down Sunset Boulevard with the Bentley's speakers blaring so loud I thought they were gonna blow. Those meetings infected the way I created and looked at music forever. 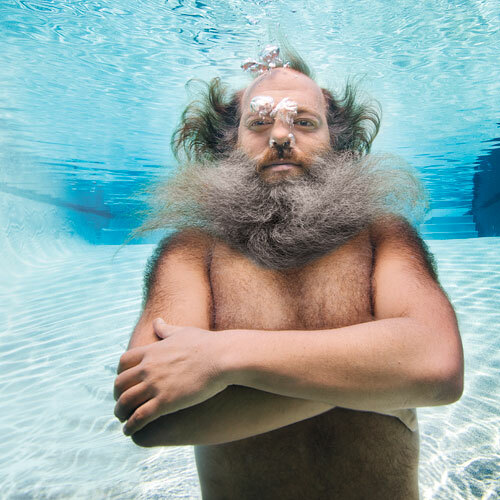 Rick Rubin continues to influence artists at all levels while his knowledge spreads cross all genres. See the full story, interview and additional images from the Newsweek story HERE.